The Jackknife Recycler - 14” Deep Well Injection Perc -Black Friday Special !! -The Greatest Online Smoke Shop! 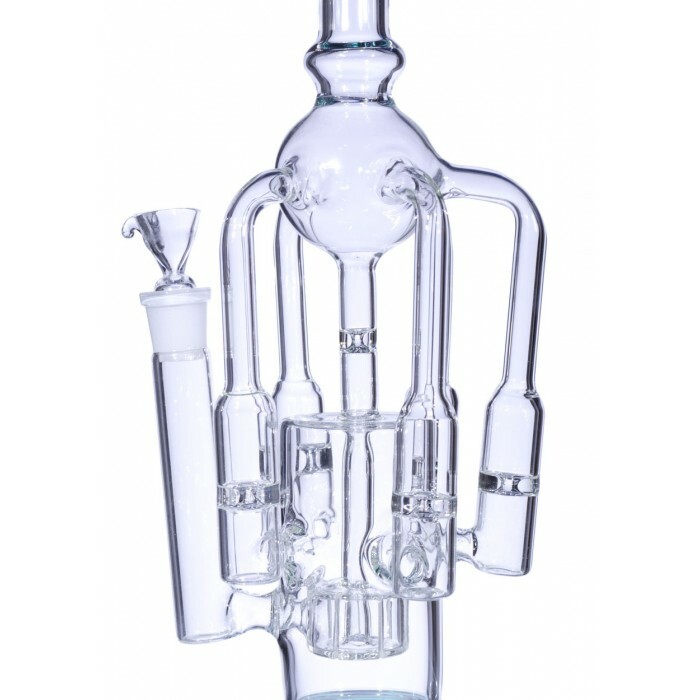 Elaborate and unique Recycler design. 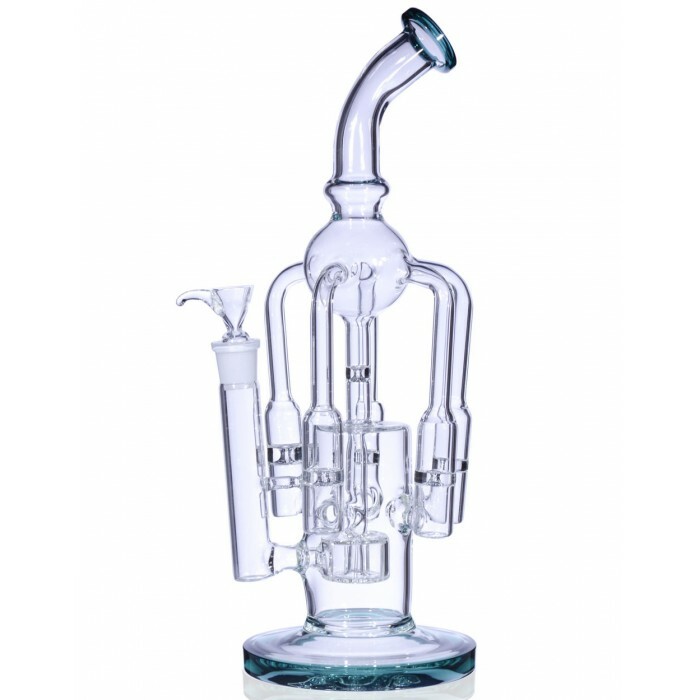 Built-in Deep Well Injection Percolator for smooth and cool smoke. It includes a matching 19mm male dry herb bowl. 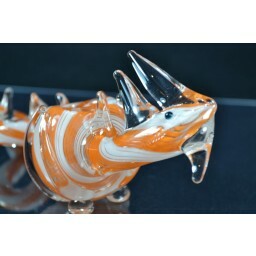 This unique piece will walk into any water pipe collection and become a standout immediately. It’s complex design resembles a Jackknife oil rig that spreads its tubes deep into the land and extracts the black gold it’s digging for. 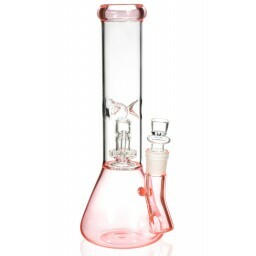 This sturdy design and heavy, high-quality Boro glass makes this a complex but easy piece to maintain. 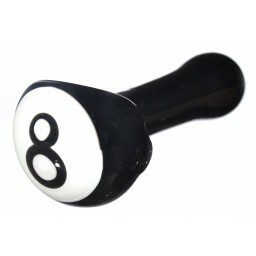 This is a balanced water pipe that is not just a delicate piece to look at but also provides a smoking experience that is absolutely worth it. 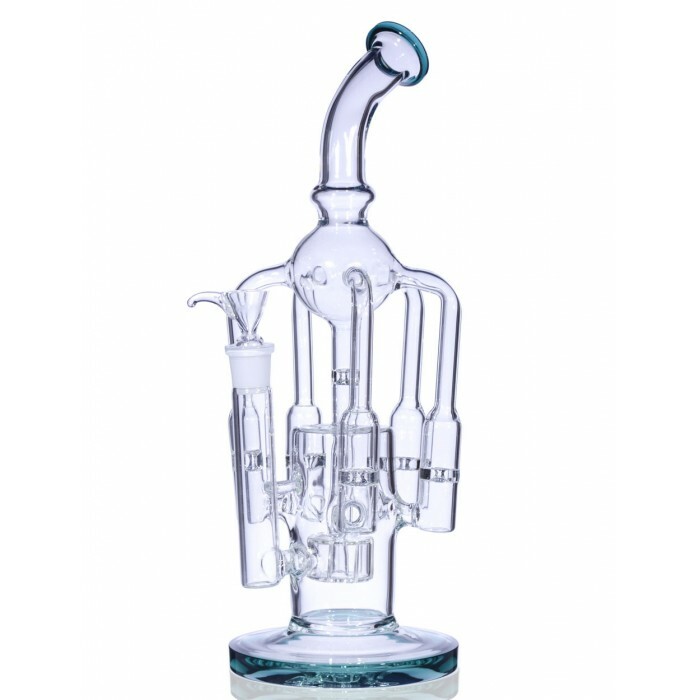 This piece is built in with a really cool Deep Well Injection Percolator. This percolator has a tube that drives almost all the way to the base of the pipe. The water and smoke first move their way through the percolator, and get split up and cooled down. This awesome water pipe has an intricate Recycler structure that makes this an incredibly smooth smoking experience. The smoke and water are passed through multiple pipes that help retain as much taste as possible as they work their way to the neck of the pipe. The pipes are fitted with small glass intakes inside of each one, which help filter the smoke and hold on to more taste. This is a quality and unique smoking experience. 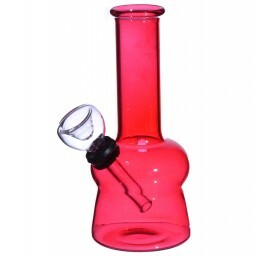 This sturdy piece has a 5” base, a 2.5” water chamber, a 19mm female joint, and includes a 19mm matching male bowl.